Move in ready horse property, for you and animals. No climb wooden post framed fences, no barbed wire, 4 paddocks w/ loafing sheds, round pen, hot walker, 4 stalls, big barn w/upper storage for hay. 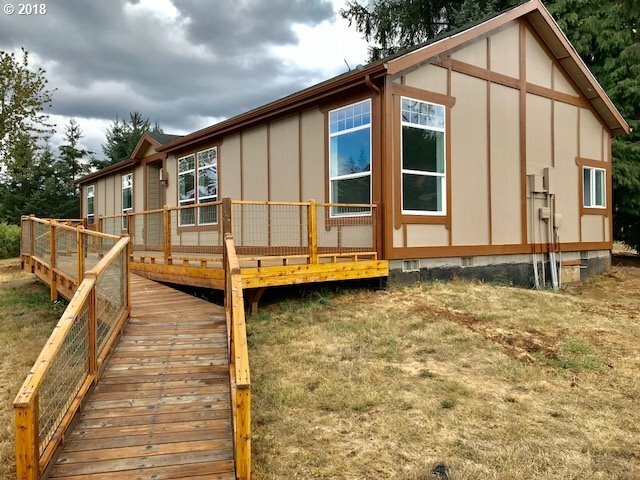 Like new Silvercrest Modular home. New Pergo floors, new carpet, new paint in and out, 9'cielings with attic. View of mountains. Ready for fast closing and move in!